This topic contains 0 replies, has 1 voice, and was last updated by Fredrik Reuter 1 year, 9 months ago. Or, happy summer solstice to you! It’s quite funny, it should be mid-summer by now but personally I’ve always felt that midsummer is in the beginning of the summer. 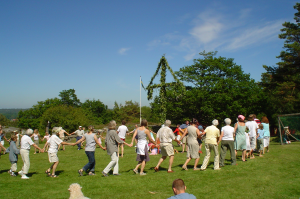 Today is a public holiday and a big day in Scandinavia where we celebrate the midsummer.